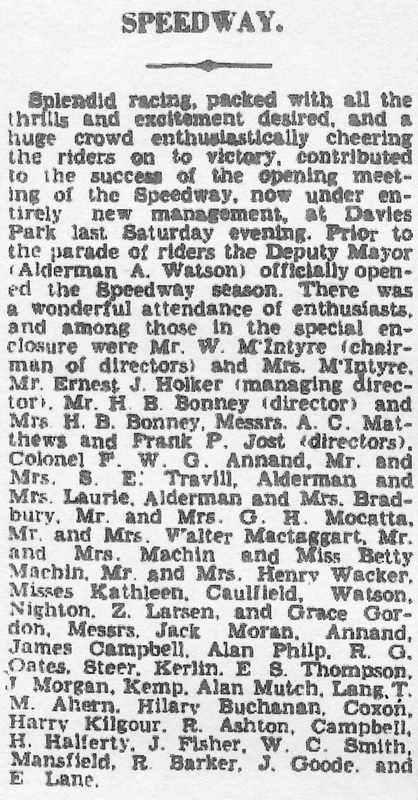 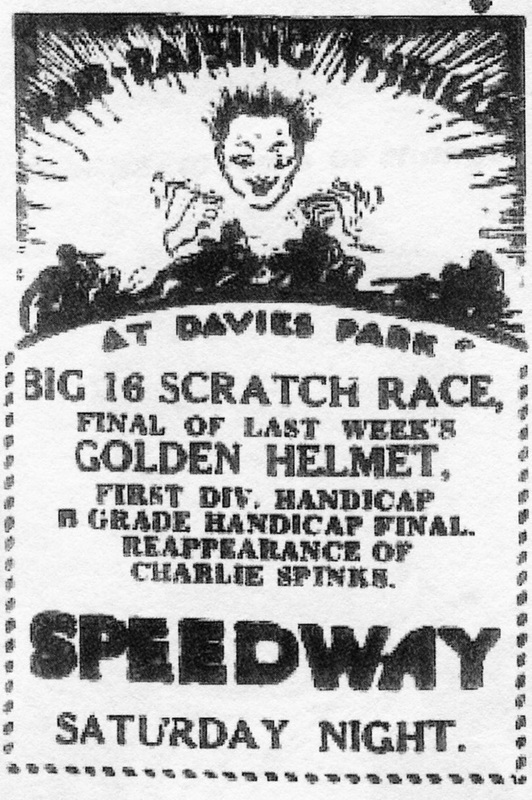 Davies Park Speedway opened in 1927, The track promoter AJ Hunting played a big part in selling the sport of speedway racing to the world, The race meetings were mostly on Saturday nights and under lights, the programme would get underway at eight oclock and run through to ten oclock with the after party at the Paris Cafe and the Trocadero Dance Hall. 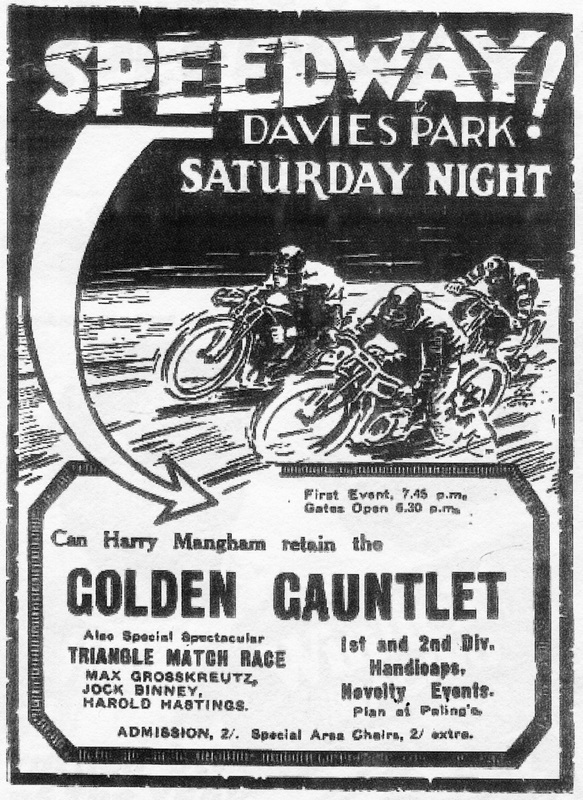 Davies Park was especially exciting racing as the track was small and the spectators cramed in very close to the track fence to watch the bikes race. 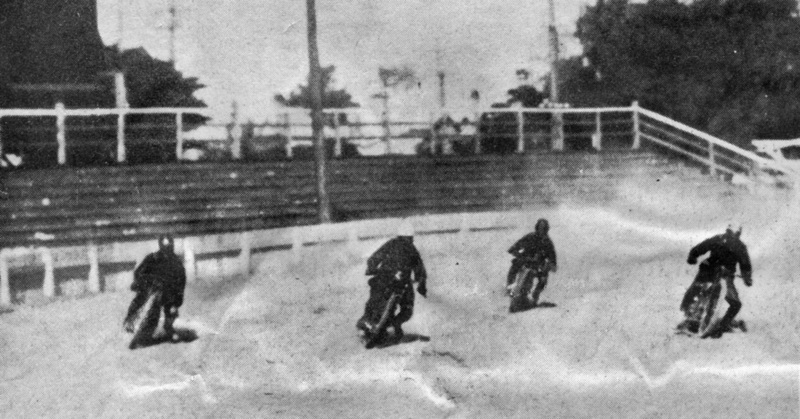 It has been sugested that the speedway flooded several times during the thirtee's from the river and that may have led to the closure of the speedway. 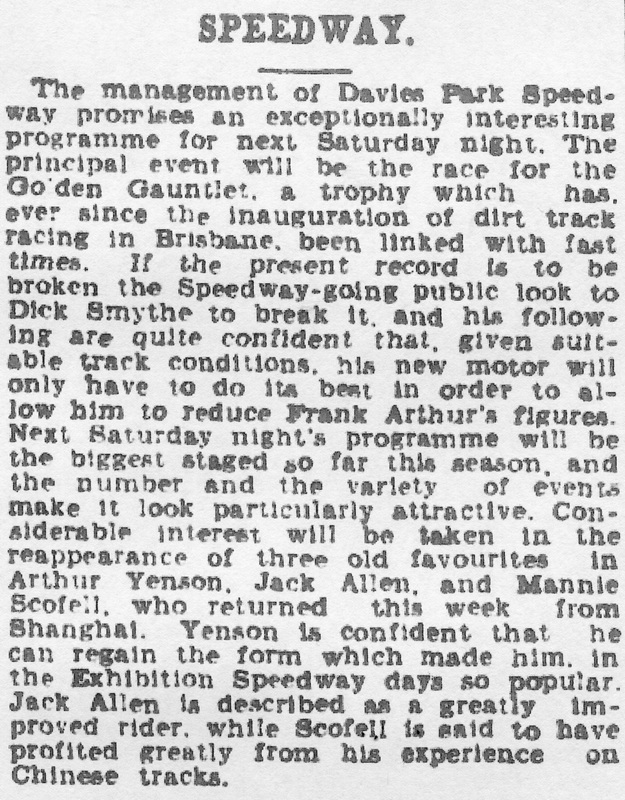 New Zealands Jack Arnott would be the only fatility on the Brisbane track, the track closed in 1932. 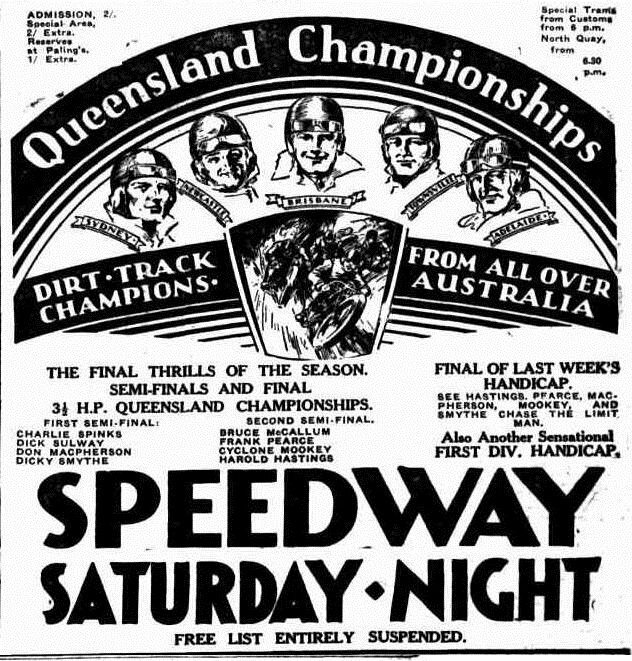 Davies Park Speedway in Brisbane was the venue for the first Australian motorcycle championship ever held, the track proved very popular and largely helped speedway to become established on the East coast of Australia through to twenties.